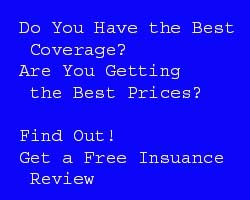 Insurance USA Group LLC is a full line insurance agency. We offer personal products (auto, homeowners, renters, boat, RV’s) and commercial products (General Liability, Office Packages, Workers Compensation, Equipment/tools), Fidelity and Surety bonds, plus life and health products. We hold licenses to sell insurance inMaryland,District of Columbia,Virginia,PennsylvaniaandSouth Carolina. We represent Hartford, Main Street, America, Progressive, Guard, Kemper, All Risks Ltd, Travelers, Atlantic Specialty, Southern Cross, Appalachian Underwriters, Injured Workers Insurance Fund, Maryland Auto Insurance Fund (MAIF) and Insurance Innovators of Maryland, foremostZurich, Safeco, Seneca, Encompass, and Harleysville. We belong to a regional and a national insurance network (SIAA/PIN) which gives us access to a large number of additional markets nationwide. We purchased one of the best management systems available. Applied Systems is designed especially for insurance agencies and allows us to input complete records of clients, their policies and coverages. From that base, we can submit claims, issue certificates of insurance, and process changes. Your information is secure and privacy guaranteed. Backup is stored offsite, so we always have access to service our clients’ needs, should any emergency occur.